The burger as it stands right now is an 8oz house grind, topped with pepper jack cheese, bread & butter pickles, bibb lettuce, beefsteak tomato, red onion and is tucked under a shiny brioche bun. I ordered it medium and it was cooked perfectly. 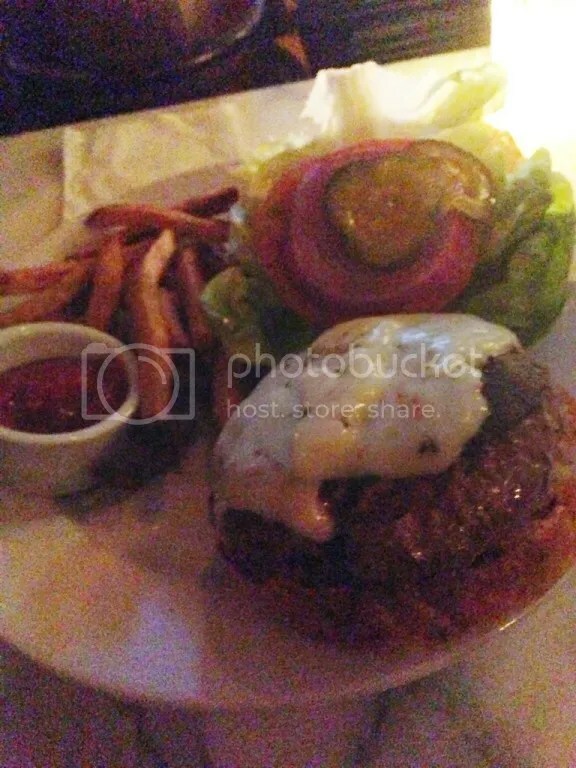 The burger had a great flavor thanks to the pepper jack and was nice and juicy. I’d had a couple of burger misses lately, but this really hit the spot (And apparently I woofed it down so fast that I shocked the bartender!) My only complaint was the bread and butter pickles; they were tasty and fit in with the Southern theme of the restaurant, but I just didn’t care for them on my burger. 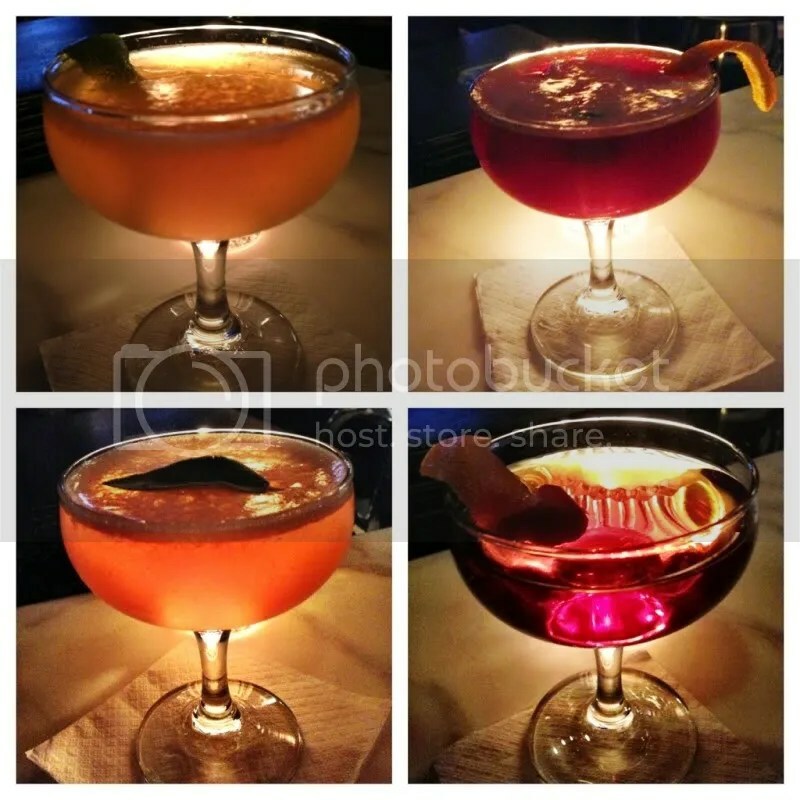 Clockwise from top left: Sage Advice, Dutch Blood & Sand, Rye & Amaro digestif cocktail and Pan’s Elemental. So if you’re in the area, swing on by Rex1516, grab a burger and keep Sweet Lou company! 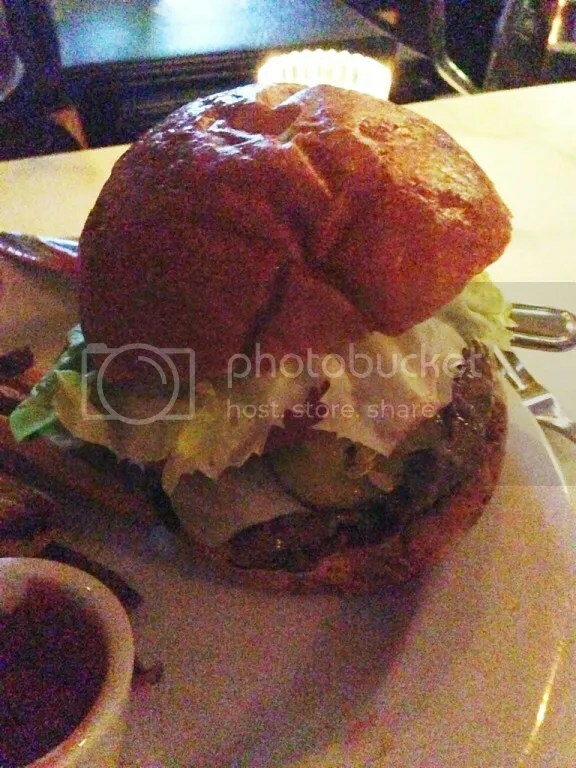 Posted in buns, burger, cheese, cocktails, Rex 1516, Uncategorized. Bookmark the permalink.